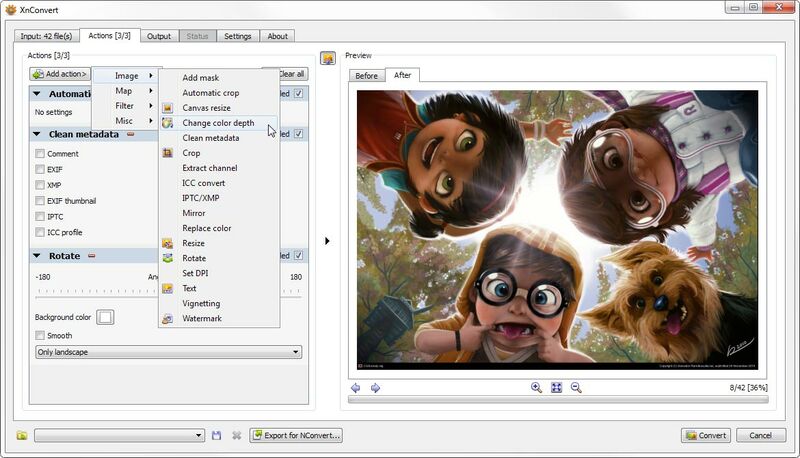 XnConvert is an easy batch image converter, you can resize, crop, apply filter, watermark and many other things. nconvert that is part of xnview is very handy - i use it all the time. This is that plus a bunch more in a really nice UI. Really great program. This version of XnConvert looks very good, will know fully after a few more conversions. Not sure how well it works because it froze and then crashed my system the very first time when I was only fooling around with the settings.